Are you looking for something to do outdoors with your family this Saturday? Mile Square Park is having its annual Monarch Butterfly Day! Get up close and personal with butterflies and learn about their habitat. You can evan learn what plants to put in your own backyard to have your own Butterfly garden! Families are invited to learn everything about the California Western Butterfly and its habitat with an up close look at the magnificent creatures while they flutter through the Butterfly Garden and gather under netted butterfly enclosures in the park’s Camp Sycamore. 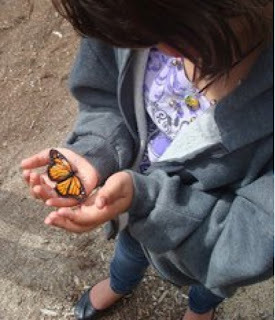 Children can help the Butterfly Garden continue to grow by planting over 150 native plants in the garden to help attract the Monarch butterflies. Butterfly experts will be on-site to provide educational information and answer questions about the beautiful and unique specimens. Special Instructions: Recommended for ages 4 to 12. Rain will cancel this event.